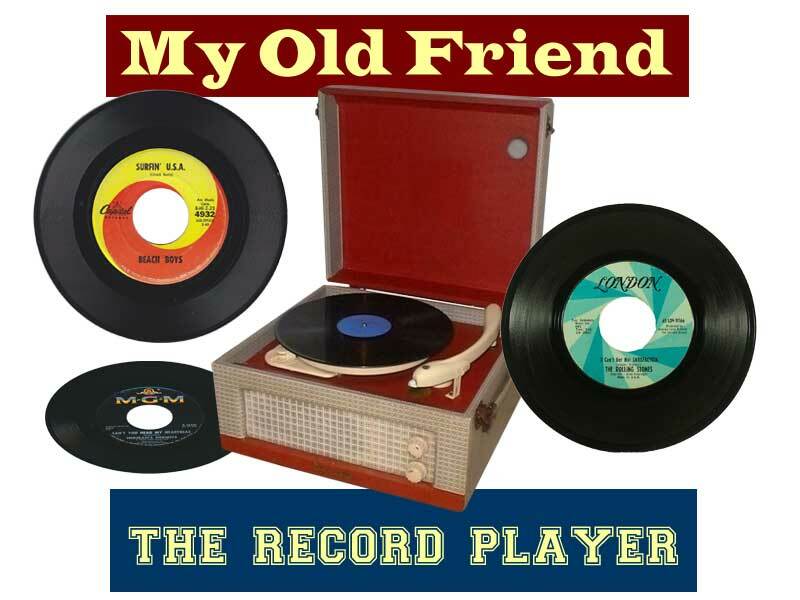 It all started with a record player; not a grand stereo, or even a superb hi-fi, but a small Ward's Airline record player with a clunky tone arm and tinny speaker. This was the vessel that soared my musical education to newer, and unexplored heights. Cheap, yes, but to me it sounded great, and it's what mom could afford. 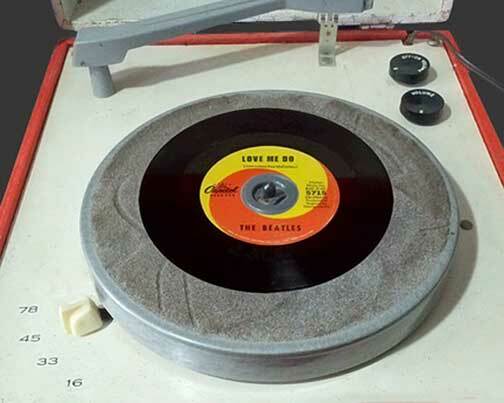 Just about every hit single, or entire album that was popular in the 60's eventually made it to this little turntable with the plush felt covering. I had one of these around the earliest months of 1963. It saw me through many 45's and a few LP's. 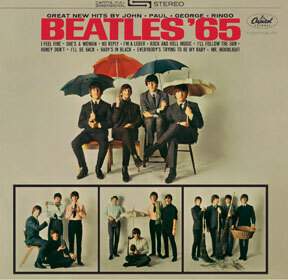 The most played LP I had was "Beatles '65" which came out around Christmas in 1964. 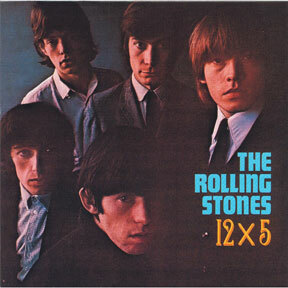 My next favorite LP was The Rolling Stones' "12 x 5". My trustworthy old friend finally died around 1967. Being a reliable little bugger, my parents got me another one for Christmas of 1968. They also got me The Beatles' "Revolver" LP to test it out with. I can remember great moments in my room playing records over and over again. As the winter rain fell against the window, fantastic songs from the Fab Four were spinning on that old Airline record player. I tried a number of the old 45 record adaptors, but my favorite was the old reliable plastic spindle cylander that could hold several 45's at once. Sometimes when I tried to fit the flat single adapter it would go on crooked, and the record would play all wobbly. Remember taping pennies, or a nickel on the tone arm to keep the needle from skipping? Eventually when my needle got so bad, I had to use both - sometimes even a quarter to weight it down. There also was a weird ball of fuzz that collected on the needle making the sound distorted. Better yet, remember having to buy a replacement needle? The diamond was sometimes mounted on a little L-shaped slab of plastic or a square plastic backing, and in the late 60's, I think it cost around Seven dollars. It was also great fun to turn my favorite song into an "Alvin and the Chipmunks" rendition by simply adjusting the speeds to 45 or 78 rpm. Such idiotic hours of fun kept me happily occupied. I really loved my old record player, and it lasted clear up into high school. I finally got a portable stereo on my sixteenth birthday, but the best songs, and best memories are still coming through loud and clear on that cheap little speaker. Previous Page Back to top Next Page: Halloween Masks!